EndFlex supplies a wide variety of automatic case erecting solutions that are required to be sealed with tape. Our T-Series family are available in several models and include the T-12 (12 cases per minute), T-18 (18 cases per minute) and the T-XL for the largest of cases. 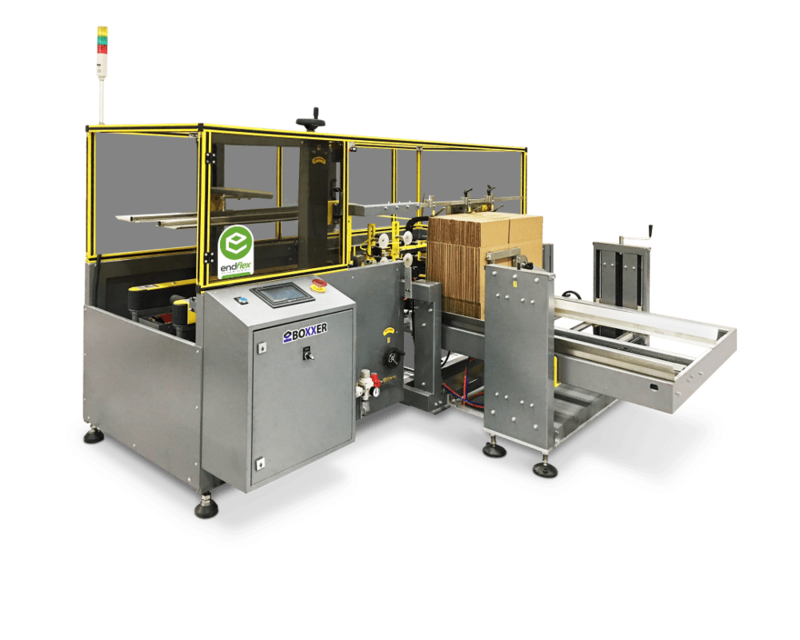 The typical person can only fold and tape up to 2 cases per minute, while our solutions can easily provide 5 to 8 times that. Produce all your case forming and sealing requirements in a fifth of the time while re-focusing your operators in providing additional value in other parts of your packaging process. Our Boxxer T-Series are designed to use any RSC or HSC corrugate box, are easy to operate, use a small foot print and are extremely flexible.